My friend Rhonda at http://www.laugh-quotes.com asked me to participate in the A to Z Blogging Challenge where we will post a blog every day (but Sunday) in April. Each post will progress through the letters of the alphabet. 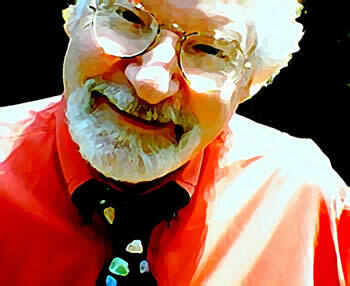 It'll be tough, but I'm willing to try, so be on the look out for my interview with Mr. Harold Lyon Baer, a super, awesome literary agent! Everyone's heard the saying that March comes in like a lion and out like a lamb, but in the south we take it a bit further. If March enters like a lamb (it did), it goes out like a lion (yep). So how can that be? It seems to go in and out in opposite ways. Off course if you get a lot of rain in March like we're getting now, it should help the grass grow. This healthy grass theory might work, except my husband planted grass seed on only half of our lawn. So the left grows luscious green blades while the other side bares brown stubble. He claims it was a good move because we lost the lake in the backyard; however, it looks goofy. Just think how great life would be if we did a half job with everything. Shaving's a pain, so I think I'll shave one leg from now on. Okay, it's late. I'll go tweeze my right eyebrow then climb in bed. As I drove down Poplar Avenue, I noticed red and green lights in the Exxon window which wished me Happy Holidays and flashed a chubby Santa at passing traffic. Maybe "flashed" is the wrong word since St. Nick was fully clothed, thank God, but why was that goofy Christmas icon still waving at me? Exxon wants to spread the Christmas spirit year round. During the Christmas season, people tend to be more generous. Maybe if they leave the lights up, people will think it's still the season of giving and buy more gas, junk food, lottery tickets, or Cokes. The Exxon employees forgot to change the message, don't care about decorations, or never noticed the Christmas message was still up. I called Exxon. 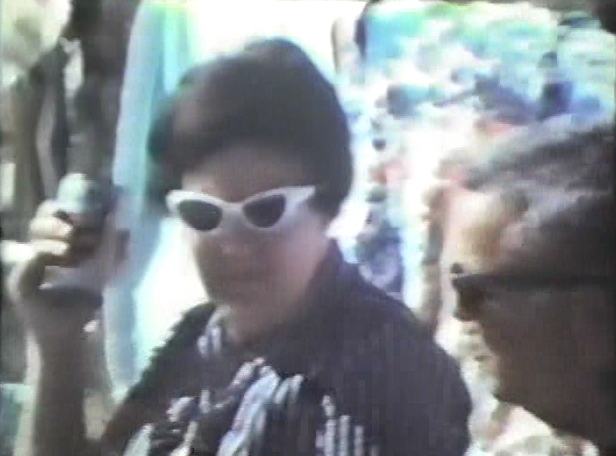 Miss Gas Queen knew the message was up but as to the reason why, she said, "I have no idea, Baby." Maybe that means they don't care. But then again, she said all the stations have the lights up. So does this mean it's a national con to sell fuel? Yeah, that's it. Or maybe after the BP oil spill knocked down the competition, every day is Christmas at Exxon! Those folks know how to change oil, give tune ups, and maybe even rebuild a motor but they haven't a clue how to work display lights. I guess it's possible, but highly unlikely. After all, how complicated could it be? Confuzzle it because maybe . . .
Changing display lights is so frustrating that they decided to never do it again. Which brings me to my former neighbor Pat who spent so much time putting up her tree that she swore she'd never take it down again. Five years later it was like, yeah, our house is the one two doors down from the huge Christmas tree in the window. So folks, let's just call this the Eighth Wonder of the World! On March 27, 2002, I accompanied my son to Italy for a soccer tournament. In the middle of the night, an odd alarm that we hadn't set woke us up with a single beep. I call it a good bye because early the next morning, our phone rang to tell us that my mother had unexpectedly died late that past night. 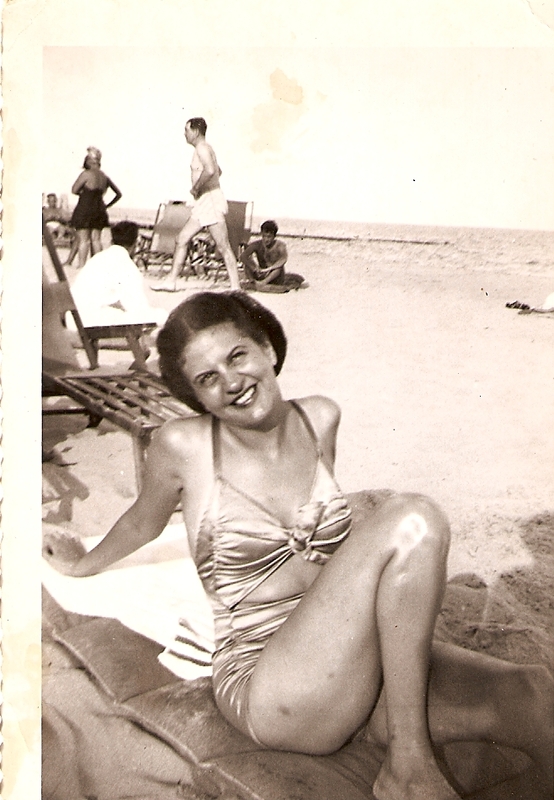 Although she'd been sick, she was getting better, and no one expected a heart attack to steal my beautiful and witty mother away from this world after only 75 years of life. So, in memory of my mother, I dedicate today's post to her because her sense of humor helped to make me who I am today. During my grade school years, my mother would often become frazzled by her "friend" Five by Five, as Mom called her. Mrs. Five by Five, five feet tall and five feet wide, had a homely daughter who she swore looked just like me. My mother's mama claws would flare as she'd spit out how I was so much prettier than the daughter of five by five. I must not have been too terribly ugly because a few years after that a carload of boys stopped next to us and cat called from my passenger side window. At least I think they were hooting at me, but maybe not. For my mother hoisted her left hand into the air and yelled, "I'm married!" "Darn it!" The boys promptly said. Mom didn't lose her humor with age, nor did she lose her ability to spit out anyone's birthday after hearing it once. In her wheelchair, she sat in the middle of the dance floor at my daughter's Bat Mitzvah party. Goofy neon necklaces covered her head and neck but she didn't bother to remove them like most elderly people would have done. Yeah, that was Mom. She was also the lady who taught my kids how to shoot straws out of paper so they could misbehave in restaurants. I miss you, Mom, even though I sometimes sense you telling me to be careful not to trip over broken sidewalks or other messages straight from you. Are you still here or was that one bleep of the alarm your final salute? None the less, today is the anniversary of your death, so here's to you. Did you know my mom? If so, what do you remember about her? If you were to replace the most expensive item in your house, what would it be? 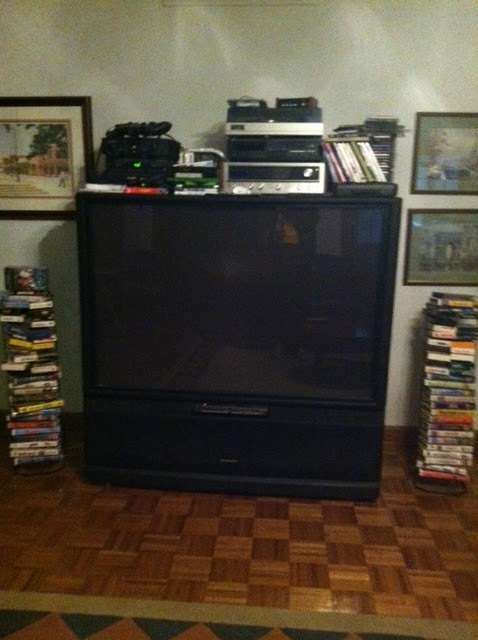 For us, it's that sixty inch mega giant television in our family room that has just bit the dust. We saw its demise coming with its occasional popping sound before the screen would go blank. Now everytime we turn on the TV, we hear one jar of mus- **POP** or guilt- **POP** In other words, the television broke, and we will be broke too once we purchase a new one. If you've TV shopped recently, you understand this concept. Last night, we ventured into Best Buys and found a very helpful and very pieced saleslady. Okay, I exaggerate, but she did have the rod through the cartridge, a knob on the tongue, and a few empty holes that probably no one but the earring Nazi (me) noticed. The store walls were covered with flat screens, Plasmas, High Def, LED, 3D, and of course the bibbity-bobbity-boo-I-don't-know-what-to-do type. Long gone are the days of just picking up a box. Now with a new TV comes the question of what to do with the old one. After all, this gigantic piece stands to my chin but thank God, it's much wider. 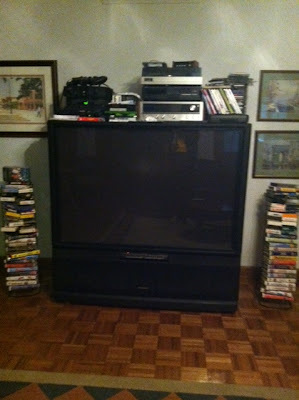 Erica, my beautiful and brilliant youngest child wants to turn the television box into a gigantic fish tank! We'd clean out the insides, fill it with water, and have sixty inches of aquarium. Interesting idea about the fish, Erica, but no. Instead, I've placed a fun fish tank at the bottom of this blog. Move the arrow, and my fish will follow. Click the mouse and food will drop! Have fun kiddies, and we're off to look at more high tech TVs. I'm Going To Be A Millionaire! I'm going to be rich. How do I know? It's simple. Everyday Publisher's Clearing House sends me an e-mail and tells me so. Today's latest says, "There will definitely be a major prize winner in the Memphis area." With only a million people, it's got to be me! But here's more exciting news. My prompt entry will also activate a chance for me to win a life-changing $10,000,000.00 SuperPrize from Giveaway No. 1400. Now wait a minute? Wasn't 1400 the prize they said I'd win last year? Surely they wouldn't write it if it weren't true. Plus, I've received those notes that say someone with the initials JL is a winner. Yep! No doubt about it; I'm going to win. I can see it now. The Prize Patrol drives down my block and rings the bell sometime after I get home from work. We know the moment, I've removed that uncomfortable piece of ladies lingerie. After all, we must free those puppies. Anyway, the doorbell rings and the television cameras show me jumping up and down on NATIONAL TV. Wow! Uh, err, maybe I should put the bra back on. This week my fifth graders read the first chapter of "Number the Stars" by Lois Lowry and came across a scene where five year old Kirstie was not afraid of Nazi soldiers during World War II while the older girls, Annemarie and Ellen, were terrified. The reason a young child would not be afraid of something horrible is that ignorance is bliss. It is with great anxiety for Israel and the world that we learned of the horrific act of terrorism that reared its ugy head today in Jerusalem, barely a week after the Fogel family tragedy in Itamar. After several phone calls and emails to friends and family to hear their assurance that they were "okay" I could hear in their voices a hint of their frustration: that not only is peace elusive, but the dream of it is becoming more faint, more distant. But we are not permitted to give up hope or to become complacent with a destructive status quo. My daughter's name "reported in" to her family here and, like the Israelis around her, is going about her normal activities. Am I worried? Sure. But it's better to find out about this at the same time I found out that my daughter is okay because . . . ignorance is bliss. Or is it? My husband tells me not to worry about Judy; after all, her dorm room is a bomb shelter. Perhaps in my next life it would be fun to come back as a dumb blond or free spirited surfer dude with no worries about the world. Bring on the summer! 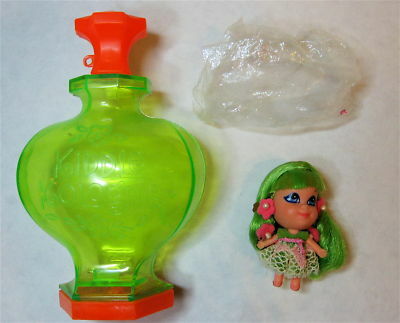 I once was the proud owner of a Liddle Kiddle doll named Apple Blossom. Her flower-covered green hair flowed over her two inch body as she populated the stores sometime around 1967--which means I must have been negative fifteen years old when I got my treasure. 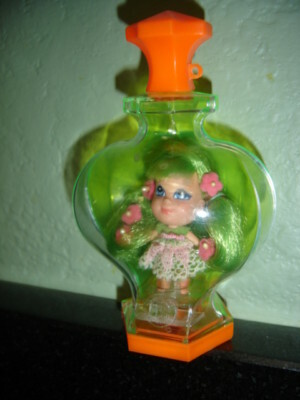 Not only was Apple the most beautiful doll I ever owned, but also, when locked inside her container, she carried a fresh perfume scent that stuck around well into my adulthood. So at age -15, I made a decision. Apple Blossom was too special to be just any doll. I kept her perched in her bottle on top of my dresser. Sure, I played with her. She was the captured princess who couldn't escape her cage. Every so often, I'd open her, take a whiff, stroke her soft hair, and wrap her back in plastic. But I was sure to keep her in mint condition because I knew one day I'd have a daughter and I'd give her this special doll. The years flew by and sure enough I became a mom. My daughter bubbled when I gave her that amazing doll. Then on that very same day, she lost it. When I heard about two news stories covering papers and televisions this week-end, I wondered if they were somehow related. I'm referring to the enormous size of our moon that is closer than it's been in nineteen years and the Allies striking hard at Gadhafi. Two seemingly unrelated stories, but maybe not. Last night a bright and enormous moon shown unlike anything observed in the past nineteen years. It was a Bruce Almighty moon without the Hollywood special effects. As I gazed at that moon, I wondered, how many cranky women menstruated a week early? The moon historically has a way of bringing out "lunacy" in the world and creating "lunatics." Which brings us to the headline news. A disturbing headline, Allies strike hard and a photo of a plane on fire, covered most of the Commercial Appeal's front page. It appears that during the phase of this gigantic full moon French planes attacked ground forces in Libya while Britain and the U.S. fired 112 missiles at air defenses. Albeit, it's clearly Gadhafi's fault as he defied UN orders, but is there lunacy in the start of yet another military offensive? What causes humans to act like lunatics? So out of curiosity, I googled "1992" + "war." This was the last time our moon shown so bright. Sure enough, the page was covered in historical wars. Early in 1992, civil wars erupted in Bosnia and Georgia; Kabul was at war as was Transnistria; and of course our American Gulf War. Was all this coincidence or does the moon affect us more than we like to believe? Hmm. When I first joined the world of Twitter and blogging, I was hesitant to follow anyone's blog because I didn't understand what being a follower meant. 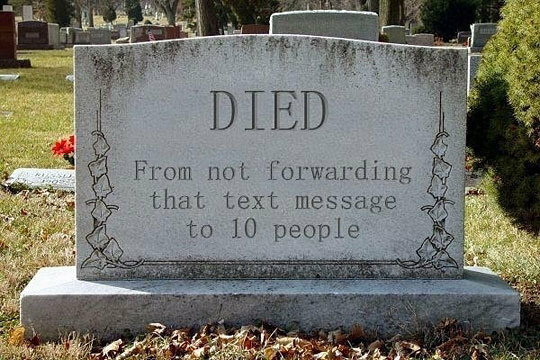 Thinking my inbox would be jammed with spam, I avoided following blogs. But now that I've clicked many "join" buttons and have a follow button of my own, I know the truth: Following a blog means basically nothing. By clicking that little button, you've told the blogger, and anyone else to visit, that you like the blog . . . or maybe you want to win something they are giving away. That's it. No e-mails or spam. If anyone should bother you, click unfollow. It's easy. So why do I care if you follow my blog? Here's why: I hope to join the ranks of published author one day. As someone with novel writing as an aspiration, I sometimes send queries out to agents and editors who are known to search the internet to find out about potential clients. If one should happen to come across my blog, it looks good to have a lot of followers, frequent posts, and even some comments related to the posts. That's it. No spam, and I promise not to bother you; so please, won't you click the follow button? I'm at twenty-four followers and want to grow. I just got back from visiting my son in Charleston and getting a first hand peek at what twenty-somethings do for fun. 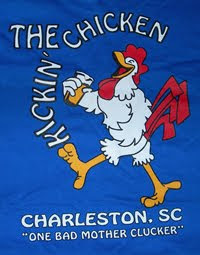 Every Wednesday at 10:00 is Trivia Night at the Kickin' Chicken. I was all over it. Perched on stools around a wooden table we delighted in competing for a $50 bar tab for the winners, $25 for second, $10 for third, and the dreaded syphilis infection for fourth. Competing against a large crowd, we left empty handed; but our team had full beer bellies. The first task was picking a team name that related to current events, was totally obscene, or preferably both. My son, daughter, and I struggled over a name, but it took my son's twenty-three year old friends no time to come up with the kind of name with words that one would never say in front of someone's mother (AKA - me). I didn't mind the sexual names so much, but Charlie Sheen jokes got old, and Japanese related titles were just plain rude. My favorite team name was: "I don't bungee jump because broken rubber brought me into this world and I don't want to leave the same way." Equipped with the rare knowledge that Michael J. Fox's middle name is "Andrew," we were ready to begin. . . but they didn't ask that question. Being the night before St. Patrick's Day, a lot of questions related to the Irish. No problem; I've been to Ireland. So why did I report the most southern county as being Limerick instead of Cork? Oh, the pressure! We knew Sam Houston was the governor of Texas who retired from office rather than take the oath of allegiance to the confederacy (although we almost said, "George Bush"); Florida was the most recent college team to win two championships in consecutive years; and never remove the Cauliflower Ear during a game of Operation. What we didn't know were the four most popular bands of all times. Beatles and Rolling Stones were the given. What were the two others? Being the old lady who loves to tune into classic rock, how could I have missed it? I was probably the only one in the bar who had been around during these bands' hey days. So, knowing what I know, how could the Grateful Dead not be one of the four? 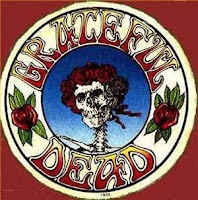 I mean, "dead heads" abound, even though no one understands why a dead person would be grateful. Anyway, I know you're dying for the correct answer . . . the winners were . . . wait for it . . . Led Zeppelin and U2. Really? Yeah! Although Trivia Night is a blast, it's made for the young. To find out why, reread my second line: "Wednesday nights at 10:00." How could someone over twenty-five get up for work the next day? 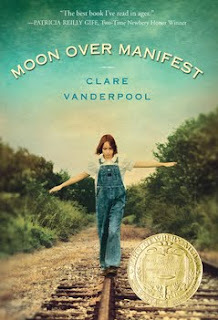 I recently finished reading Moon Over Manifest, the most recent Newbery Award winning title. I appreciate the author's skill in developing her characters and weaving two stories into one. The historical fiction aspect also gave me a great feel for The Great Depression and life during World War I. I can see why this literary fiction story won the award, but I tend to be a high concept reader and at times found myself zoning out and having to reread passages. None the less, Moon Over Manifest is worth a read. If nothing else, it gives one a peek at what Newbery material is all about. Check it out. I have a friend who has literally walked around for two years with an idea percolating in her head without writing a single word until the entire novel is structured and ready to go. Then there is moi. The ultimate pantser. I've tried some pre-planning for my novels but find it cumbersome, and I rarely stick to my plans anyway. Currently, I'm enrolled in my second course at the Institute of Children's Literature with an instructor who pressures me to plan. This has been difficult at best. True, I've mapped out my work in progress (WIP), but I find myself veering away from those plans as my fingers tap the keyboard. (1) Draw a horizontal (hamburger) line across a sheet of paper. (2) Divide said line into three equal parts. These parts represent the beginning, middle, and ending of your story. (3) Place a star between the middle and ending of the story. This is your WOW moment. That's right! The one place where the most exciting thing happens. (4) After jotting down your idea for the WOW moment, return to the beginning. What happened a little before the WOW moment? (5) Next write an ending that sums up the WOW moment. You could even work out some sort of connection between the beginning and the ending because you now know what you are going to do. (6) Finally, fill in the missing pieces of your story. Mr. Diamond has several books available on his site, and I was pleased to have had my school purchase all four of them for me. I especially like the one about Narrative Writing. Being a certified pantser, I had to try this technique on a recent Monster Challenge. The competition called for a five-hundred word story about a human slaying a monster. I don't know if I'll win, but I've gotten a lot of positive reviews on my piece. As I heard the latest bill to rise from a Tennessee congressman, I didn't know if I was listening to a soundtrack from Dumb and Dumber or Scary Movie. It certainly has nothing to do with Aretha Franklin's Respect. The latest: HB 1375 sponsored by Niceley is aimed at removing license requirements for teachers. And this is supposed to improve education how? Once again the Republican congress has swooped to a new low in the name of political payback. I figure this is their insurance against the projected teacher shortage after they pass all of their punitive bills. They could go ahead and hire all the people who have lost their jobs or can't find ones due to the poor economy. It won't matter that these folks know nothing about educational methodology. After all, isn't teaching so easy that anyone could do it? Talk about another slap in the face! You don't need a license to be a state legislator. We need a bill that specifies who can and cannot be a politician so we can get rid of dumb and dumber at the state capitol. This recipe belongs to Shallee at http://shalleemcarthur.blogspot.com. 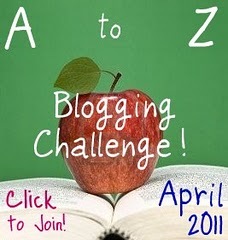 It looked so wonderful that I had to copy it to my blog so that I wouldn't lose this cool idea. My daughter is putting her mixture in the microwave right now! Uh oh, rising. She needs a larger coffee cup. It oozes upward then sinks down. And . . . it's . . . a . . .homerun! (With a little Hershey's syrup squeezed over the top). Yeah! Mix all ingredients and microwave for three minutes, and voila! Cake in a cup! Yesterday I drove to Nashville to experience democracy in the works. 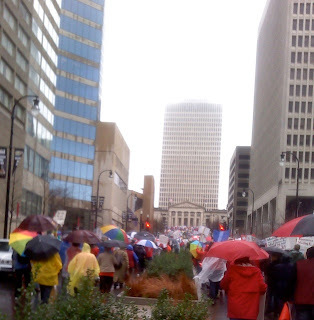 Thousands of teachers ascended on the rainy Tennessee state capitol to protest six bills all aimed to punish teachers for voting against the Republican Legislators. These bills have nothing to do with helping kids and everything to do with harming those who are responsible for making sure students get the best education possible. It's like fixing crime by harassing police officers. These toxic bills are aimed at destroying our teacher union through forbidding payroll deductions, removing collective bargaining, not allowing association literature to be distributed in teacher mailboxes or email accounts, making it against the law for us to contribute to a political candidate's campaign, removing a teacher from the retirement board, and ending tenure. These six bills are just the beginning. Fourteen more are in the works. 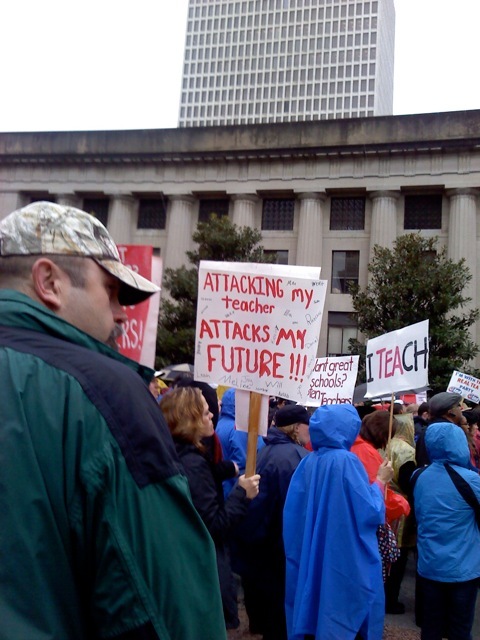 In other words, teachers would have no say in their working conditions, salary, or benefits. 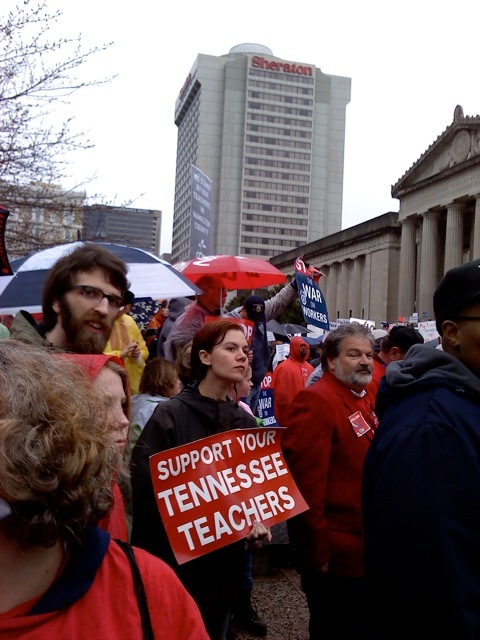 These bills and the obvious disrespect for teachers will no doubt discourage young people from entering the teaching profession where they work ten hours or more each day for less pay than what they could receive in the private sector and now decreased benefits. In terms of the political donations, TEA donates to the candidates who support education no matter the political party; however, most of our strong education supporters have been Democrats and the offended politicians are Republicans. We'd donate to their campaigns too if they'd only support us. I have questions on the legality of this proposed bill. If businesses are allowed to make donations, how can one outlaw professional organizations from doing the same. Maybe it should be against the law for everyone organizations and businesses included to make donations. That would hit these legislators in the pocket book! I believe there is a strong misconception of what tenure means. It does not mean that a bad teacher cannot be fired. It means that one cannot be fired without due process or telling the teacher why they are being fired. Is this such a bad thing? Governor Haslam wants to increase tenure from three years to five, and some have suggested a period of ten years. How long does it take a young person in the business world to be considered competent in their job? Six months? The biggest sock in the jaw is the rudeness of the bills. Last year, TEA worked tirelessly to help Tennessee gain funds through Obama's Race to the Top. Without teachers working with legislators, we never would have gotten this huge sum of money to help education. Furthermore, this money means that all teachers will receive four evaluations a year and have to work harder to meet new standards yet none of the money will be used for teacher salaries or benefits. So, we will be working solely for the children. Look at the thanks we are getting. Tonight my sister sent me another one of those messed up chain letters. It was about July having five Fridays, Saturdays, and Sundays and that's supposed to have something to do with money. Send it off, and you'll get money, don't and you'll lose it. Who writes these things? Do they not have enough to do? Fine. If someone can make up horse poop about July, I'm going to write lies about March. Let's see, hmmm. March has four Fridays, Saturdays, and Sundays. That must have something to do with monkeys. If you send this little known fact off to five friends by Friday, no monkeys will swing through your house, but if you don't . . . Gilbert the 900 pound Gorilla will escape from the nearest zoo, break into your house, and eat all of your bananas. Chain breakers beware.